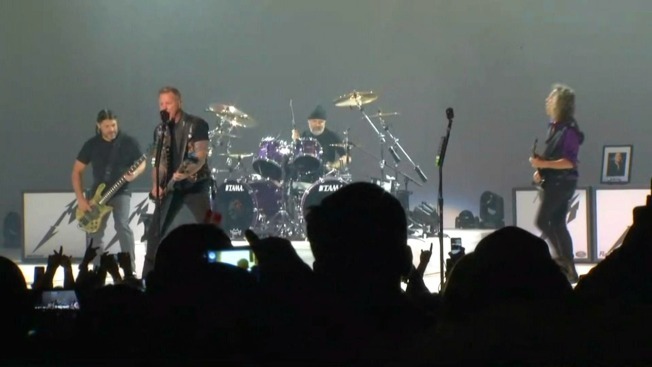 The famed heavy metal band known as Metallica hit the stage at Oakland's Fox Theater Saturday night, but there was a twist. Instead of pocketing ticket earnings, the group handed over all of the show's proceeds and canned goods donated by fans to the Alameda County Community Food Bank. 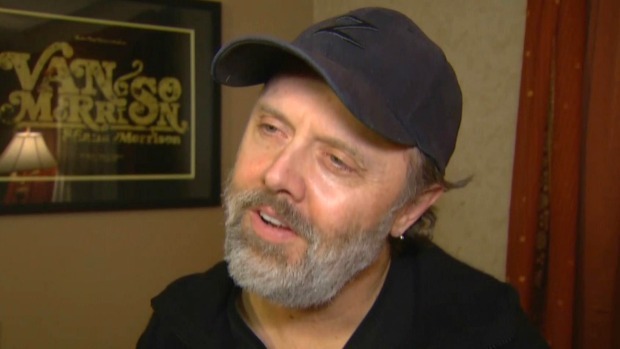 Drummer Lars Ulrich, who calls the Bay Area "the coolest place to be in the world," says the band is taking on a more vocal role when it comes to giving back to those in need. "Especially this time of year, there is a tremendous amount of people that are not as fortunate as most of the people in this building," Ulrich said before the show. "We're encouraging everybody to help. It's very rewarding." Ulrich said that the Bay Area is "the coolest place to be in the world." Rewarding it is, according to food bank spokesperson Michael Altfest. Noting a down year in fundraising, he said this show will do wonders for its stock and name. "It's right in the holiday season for us which is a super critical time for food banks nationwide," he said. Fans flocked to the theater as early as 7 p.m. Friday night clutching bags of goodies, waiting in anticipation to catch a glimpse of the band with Bay Area ties and listen to a new album dubbed "Hardwired...to Self-Destruct." "We all love Metallica so much that we're here to stay in line," Kevin Louvelle from Los Angeles said before the show. "I'll do anything for this band. It's a lifestyle. It runs through our veins." The band may be a bunch of old-timers by today's standards, but that fact isn't stopping their beloved followers from showering the group with love. "Thirty-five years into a career, the fact that people not only still care, but the outpouring of support and love for this new record has been completely overwhelming," Ulrich said. Aside from Saturday's night food drive and money donation to the Alameda County Community Food Bank, the musical collective is also reaching out to assist in the Oakland warehouse fire relief effort. "We're trying to do anything we can to help in the wake of the horrible and tragic events in Oakland," he said.